There was a simple set of paint brushes, a paint tray and a large paper taped on the wall. Once noticed the children took up painting the paper with lines and circles. The curiosity for mixing colors happened almost immediately. As the globs of color ran together and began dripping off the brushes and onto their hands a new curiosity arose. The paint brushes were abandoned and the hands went directly into the paint for hand printing on the paper. Then something about the sensation of the paint became curious and the paper was forgotten. Now the paint was being smeared on their arms. In the midst of the excitement one child proclaimed "We have the best ideas ever let's keep doing it." 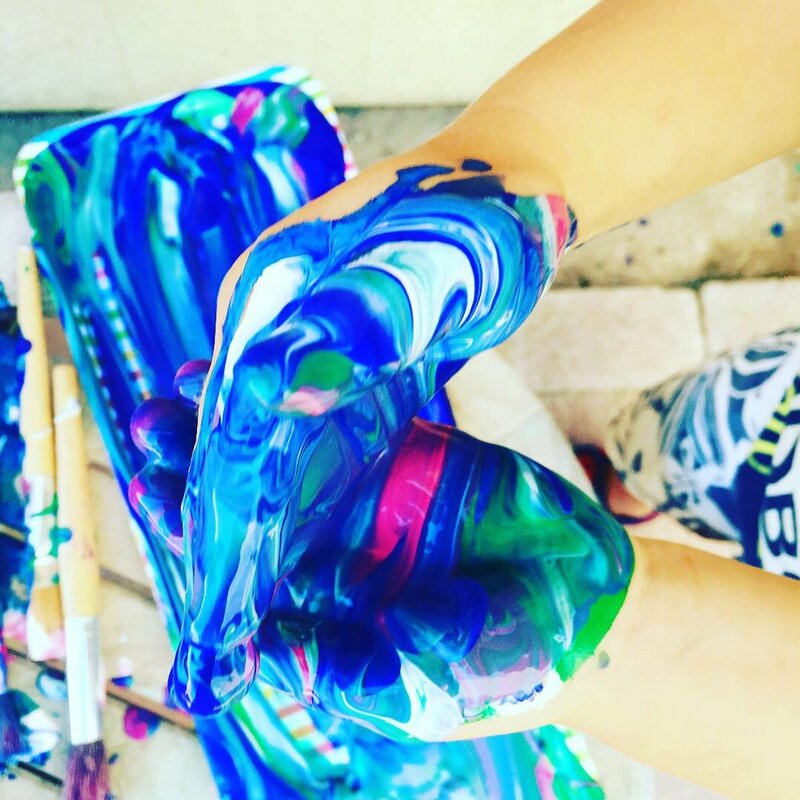 I begin to fill a large bucket with soapy water and when all the interest in the paint had been explored they walked away and discovered the soapy water. They began washing their arms. Someone has an idea.... "let's wash those animals too, they need a bath." The bin is filled with plastic animals which are now being scrubbed when a new curiosity arises. The children take off their shoes and begin to scrub them. When the shoes are done they wonder about their feet and so into the tub they go. 30 min after the paint was discovered they are ready for some dry clothes and a story. Imagine all of the neural networks that were formed in the 30 minutes those children saw each of their curiosities through completely. Proclamation after proclamation was made about how great their work was, how surprised their parents would be, how important the job was. They were allowed to be and allowed to do. When the process completed itself we (the caretakers) were there to clean them up and settle them in.